According to current data, people over the age of 50 hold approximately 70 percent of the wealth in the U.S. Unfortunately, the senior population has become the target of financial abuse and this problem appears to be growing. 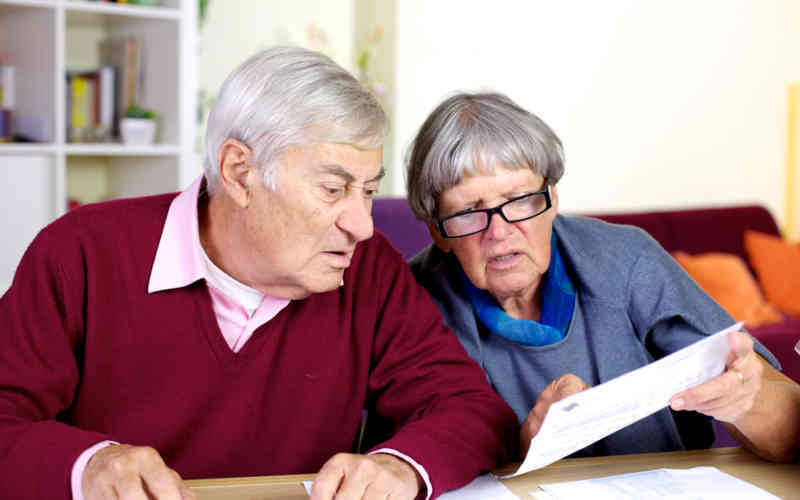 A 2016 report by AARP indicated that 1 in 5 older adults have been victims of financial exploitation. This abuse may be in the form of scams or identity theft, and in some cases may even originate from financial neglect from a family member. It’s important to be aware of the different forms of financial elder abuse and to understand how to best protect yourself. Perpetrators often try to extract sensitive information by phone, mail or email. If someone contacts you by phone and requests personal information such as your birth date or social security number, you should refuse to provide the information. Have a trusted attorney bring you any important forms that require a signature. Do not provide any personal information through email or postal mail either, and do not pay fees or taxes for any sweepstakes or prize notifications that arrive by postal mail or email. Also watch out for false emails from people masquerading as a family member and requesting money to get out of a bind. Scams can happen in-person too, so be on your guard. Don’t provide personal information to strangers who knock on your door, and be sure to lock up any items such as credit cards and checkbooks anytime repair people, house cleaners or others are in your home. Although it’s heartbreaking to consider, financial abuse can sometimes come from those closest to the victim. In fact, according to the National Center on Elder Abuse, 90 percent of perpetrators are family members or other trusted individuals. Even if you cannot imagine that someone you are close to would betray your trust, it is best to proceed with caution. To protect yourself, designate a power of attorney who can take care of financial matters that you are unable to address personally. If there is no one that you trust to fill this role, hire a licensed fiduciary who can act on your behalf. Also, ensure that friends and family understand that you are closely involved with and paying attention to your finances, as this may preempt any attempts at fraud. Designate a power of attorney or hire a licensed fiduciary. Set up direct deposits and debits from your bank in lieu of sending and cashing checks, as electronic transfers are safer. Enroll in bank and credit card alerts to be notified about any large purchases. Shred important documents, such as credit card and bank statements - don’t just throw them away. Review your credit report annually to ensure that no credit cards have been opened under your name. Check credentials prior to hiring anyone or granting anyone access to your personal information or before admitting them into your home. Politely, but firmly, refuse any requests that make you uncomfortable regarding gifting, donating or sharing your money. Let friends and family know you are paying close attention to your money. Call Adult Protective Services immediately if you ever feel that you have been threatened, intimidated or taken advantage of in any way. Financial security is just one component of a healthy, safe environment. As a SageLife community, Kyffin Grove offers customized services designed around your interests, comfort and overall wellbeing. To learn more about Kyffin Grove, schedule a tour today.